Dan, Matt and Ryan flash back to the 2014 rookie drafts, chatting about Odell Beckham Jr., Davante Adams and Adam Thielen as well as the rest of the class. 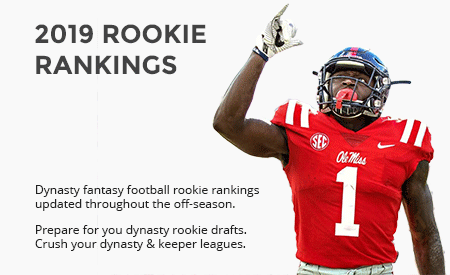 There is another twelve pick rookie draft, a quick reference to Bishop Sankey, and a moment of disappointment when Dan realizes he should have taken a quarterback with his final pick in the draft. Don’t forget to rate and review the pod and tweet a screenshot to Ryan McDowell @Ryanmc23. We really appreciate you sharing your ratings and reviews of our show on iTunes. You can also leave rating or reviews on Google Play, TuneIn Radio and Stitcher. Keep up on the latest breaking player news from numerous sources with the Playerline Mobile App! The DLF Dynasty Podcast App is now available for your Apple iOS devices. Go visit iTunes and download the only app you need to listen to all of the latest episodes form the best dynasty podcast on the planet! The DLF Podcast app is also available for your Android device. Just download the app from the Google Play Store or you can download it from the Amazon Android Store. These apps are free and are a great way to catch every DLF Podcast episode as soon as it comes out, as well as access any other show related materials. With a built in player and immediate access to the latest podcasts, this app is the perfect way to make sure you never miss the show! 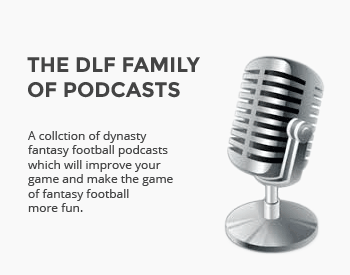 The DLF Dynasty Podcast official home page is located at: dynastypodcast.com! From there you can play recent episodes, download the episodes in mp3 format, and access the show on your favorite podcast player with the rss feed, http://dynastypodcast.com/rss. The DLF Dynasty Podcast crew are often found on Twitter and in the DLF Forum. Give ’em a follow and hit them up with any questions you have!